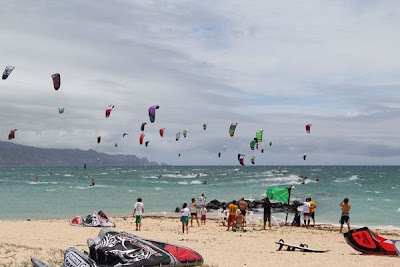 Naish Race Series 2012 Round #2 today with winds forecasted to blow 30+knots we'll see what goes down. Hopefully Naish can correctly add and tally points unlike their past races.... An amateur event at that with no rules and the whole point system is out the window. Either way its just another way for them to help pay their bills. Let's all show up, give them a run for their money and show them that Naish has no chance in a real race scene!!!! !